Fruitbody with partial veil, leaving more or less visible ring on the stipe. 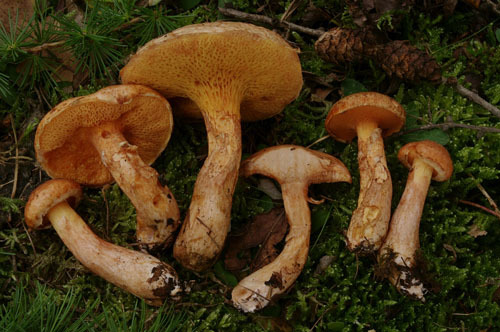 Cap up to 10 cm, at first hemispherical then expanding to convex, yellowish orange, orange-yellow, orange to brownish orange, viscid, towards the cap margin with numerous darker scales. 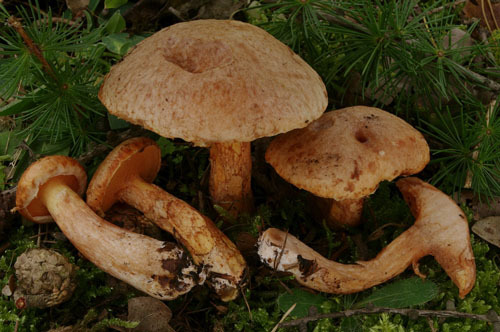 Stipe, cylindrical or clavate, almost concolorous with the cap, with more or less distinct ring Flesh pale orange or yellowish orange in the stipe, paler in the cap. Tubes orange yellow to orange. 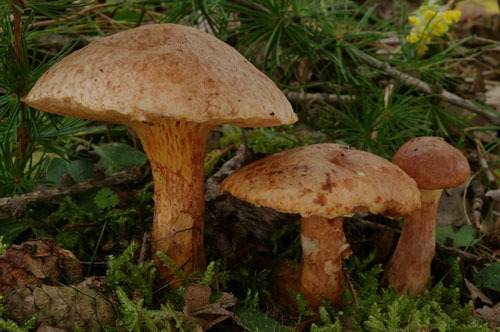 Pores medium sized, orange yellow to orange with rusty or brownish tint. Smell not distinctive. Taste slightly acid. Spores 9.5–13.5 × 4–5 μm. Habitat. Coniferous forests, sometimes artificial plantations, mycorrhizal with larch (Larix). Distribution. In Europe spread within the natural range of larch and also seen where larches are introduced. Gerhold, H. 1985. 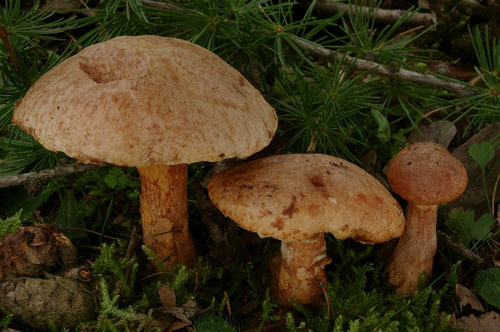 The section Larigni of the genus Suillus and the subgenus Laricogomphus of the genus Gomphidius (Basidiomycetes: Boletales). – Berichte des Naturwissenschaftlich Medizinischen Vereins in Innsbruck 72: 53-64.